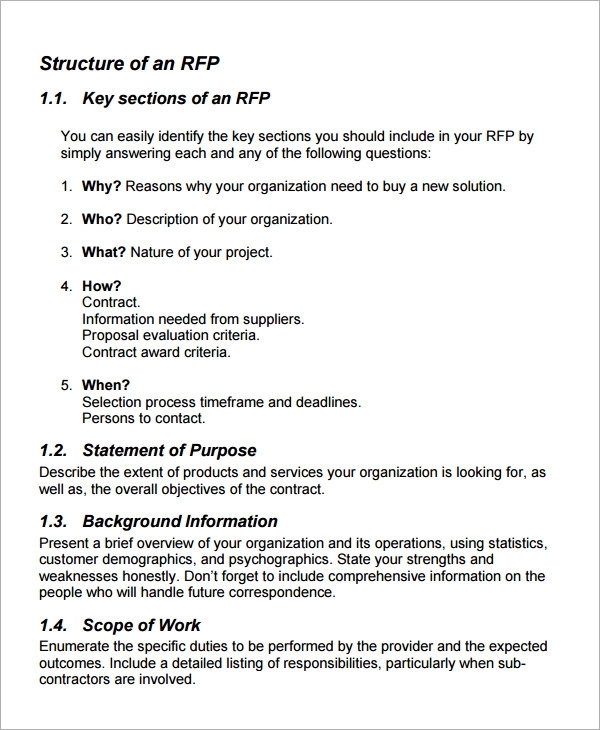 Say that your business is looking for growth and is looking to procure some asset or commodity that will push up your profits, how exactly do you go about requesting the other party? 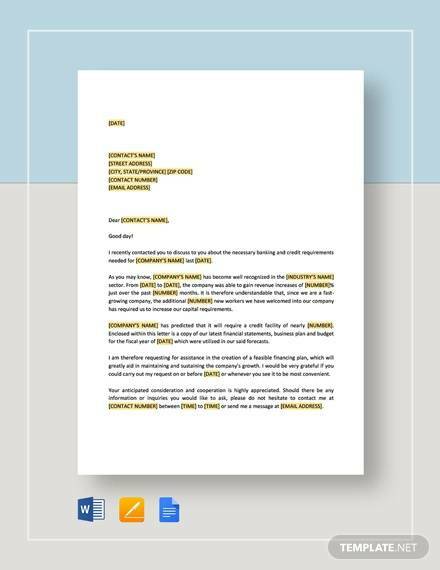 When you send a request of quotation for an asset or commodity to a supplier it should meet certain requirements – it should give a clear idea about your identity to the other party, the reasons for the request, how the process will be carried out and when. 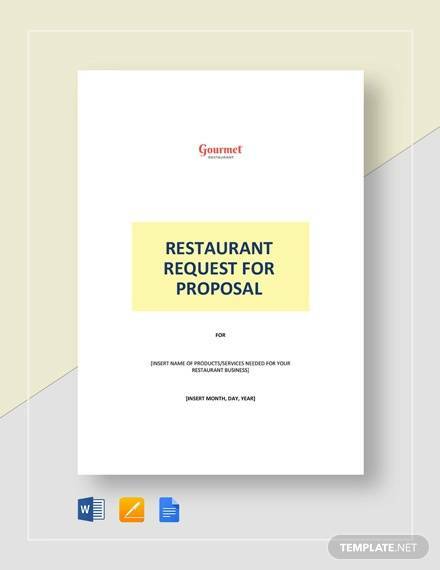 Request for proposal are here exactly to help you with that.Request For Proposal Templates make sure that you have everything in place.A request for proposal makes sure that the supplier is informed about your needs and encourages them to put them to put effort into making it possible and also that the suppliers respond back. 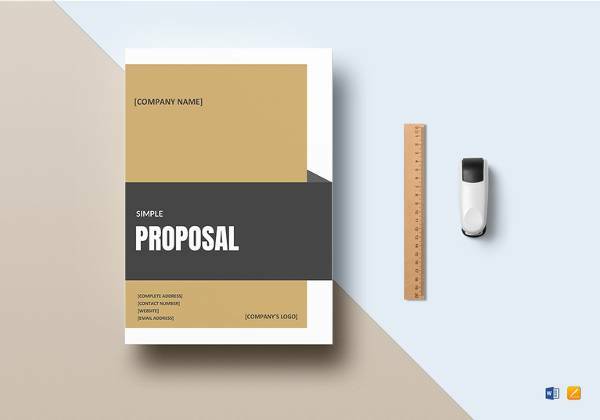 You can use them whenever your company needs to procure something from a supplier, you just have to fill in information about your company and who you are, why you need the asset, how and when the business deal can be carried out. 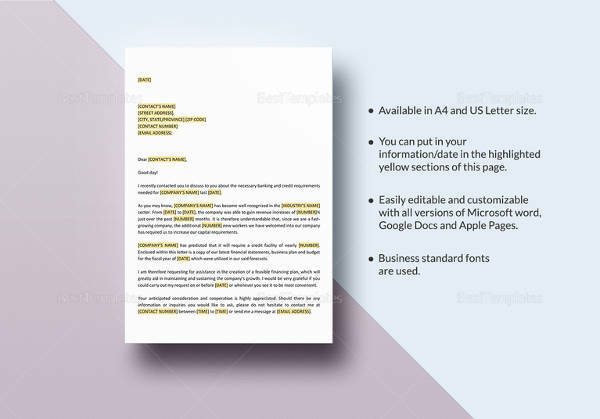 There are many premium as well as free templates, you can download the one that suits you best. 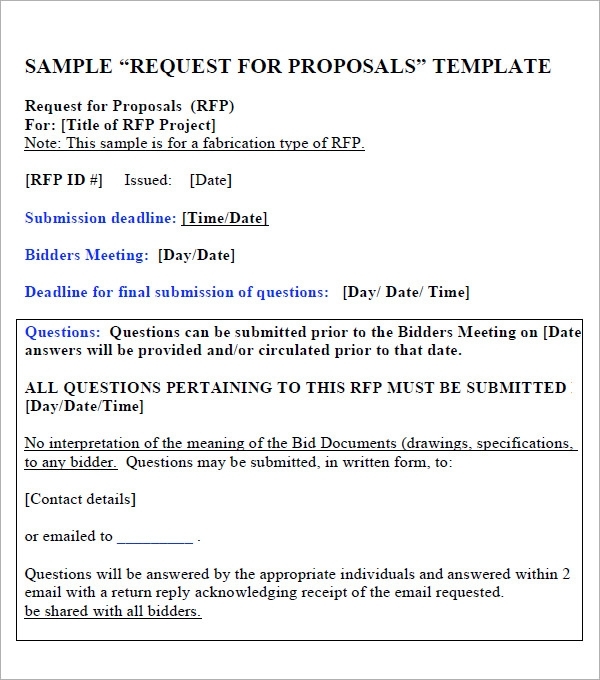 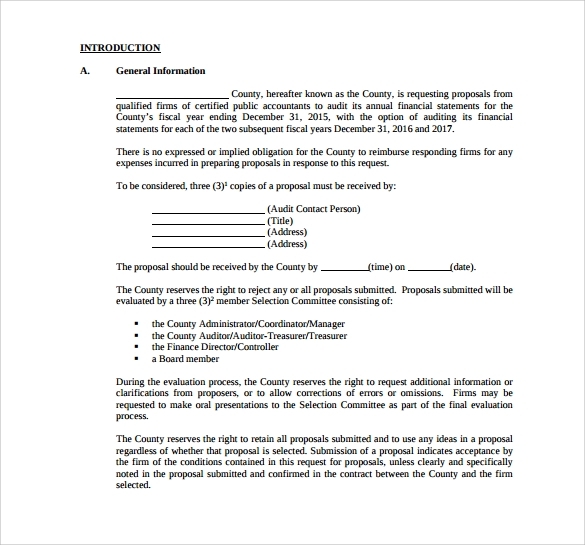 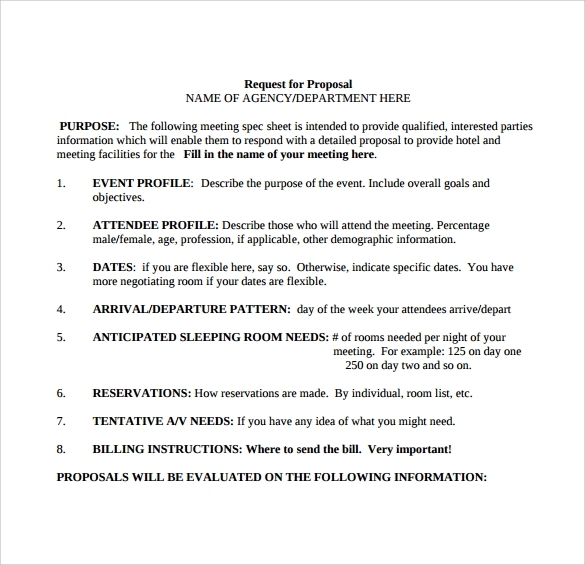 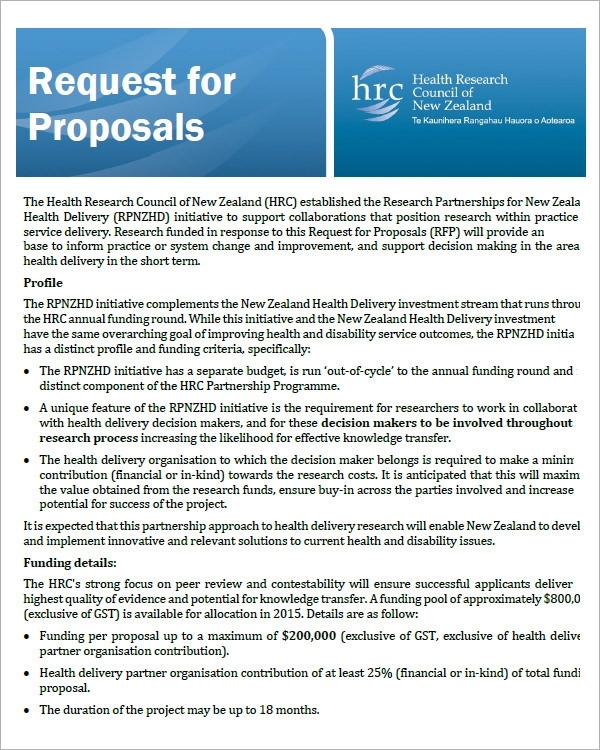 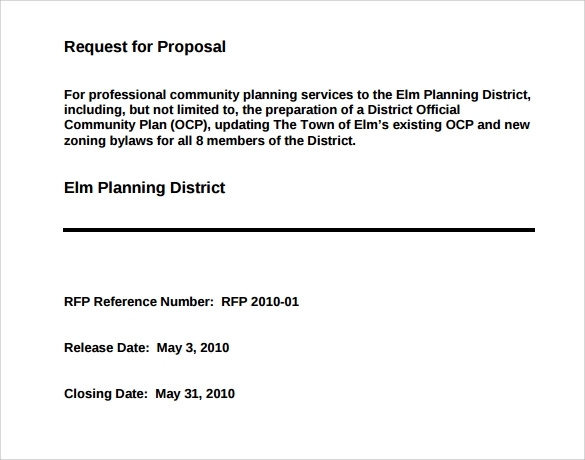 The Word request for proposal Templates are easily editable and you can add your own fields should you feel like it and you can print them out whenever you need a copy. 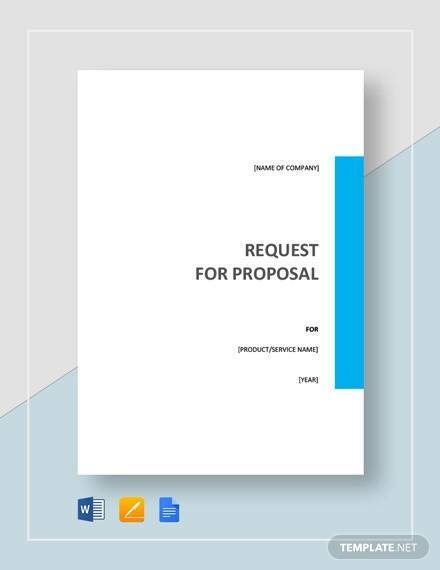 You request for proposal has all the information needed for clear understanding of the request and that it presents you in a good way. 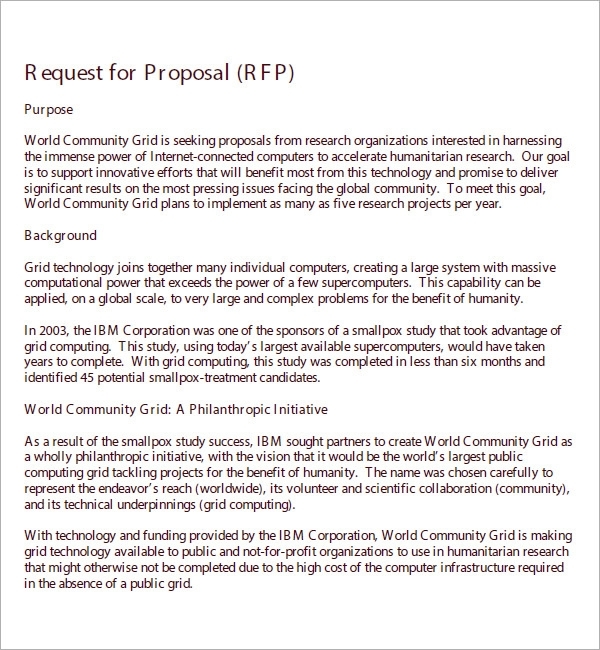 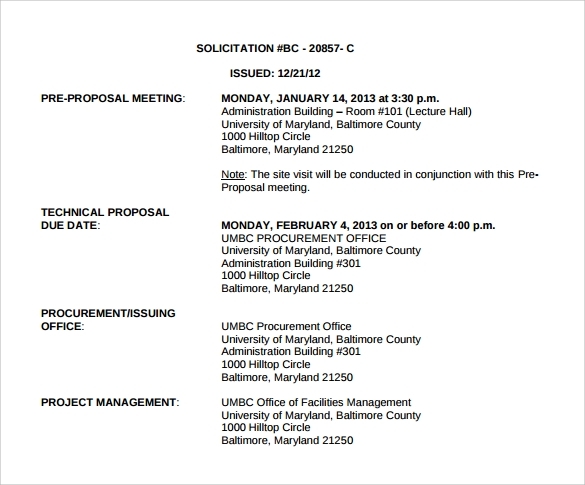 Request for proposal templates make sure that you present yourself and your company in the best way possible. 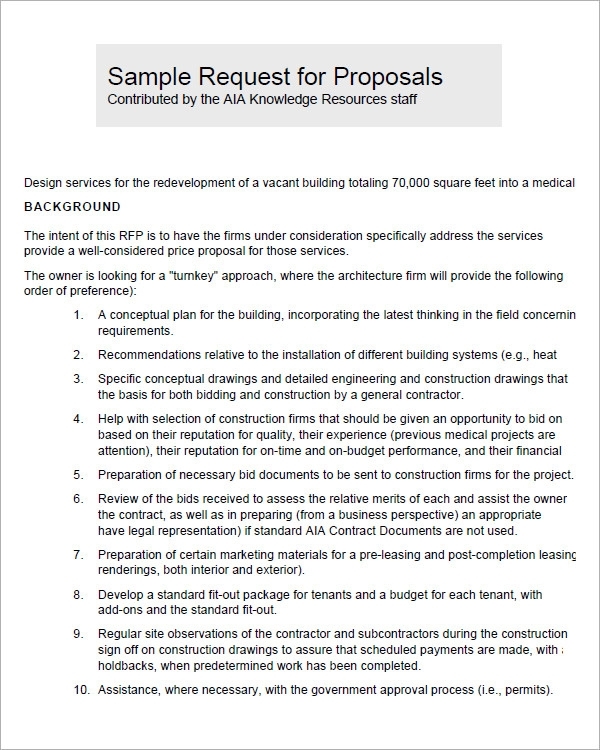 Stating your needs and your stand on the proposal clearly helps with better understanding and makes a good impression on the other party. 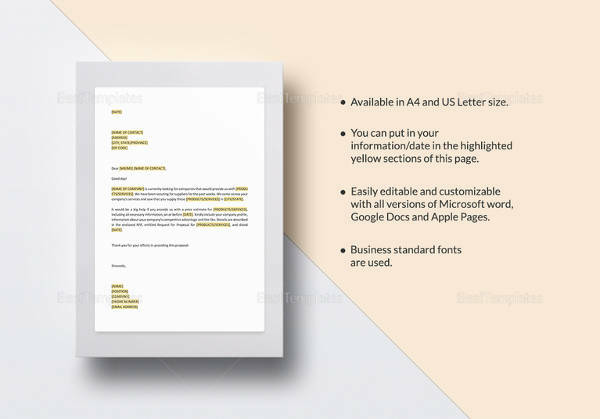 These templates are easy to edit and not hard to be printed either.